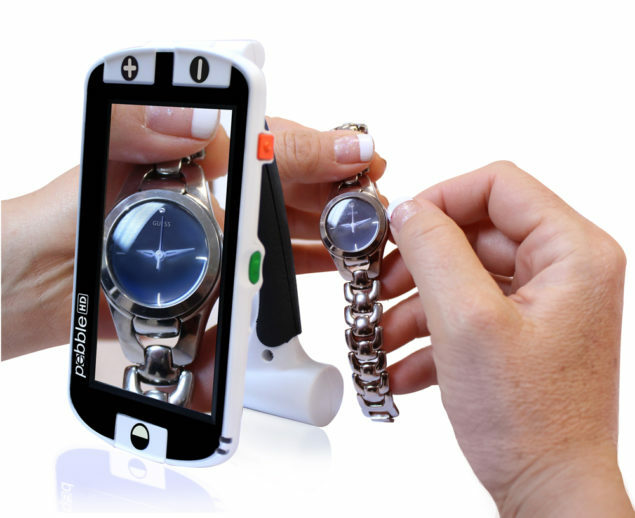 The Only HD Handheld Magnifier You’ll Ever Need! 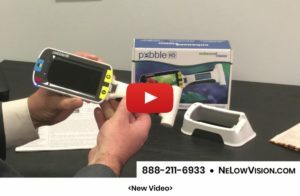 Pebble HD is a low vision handheld magnifier that boasts a new HD camera providing a crisp, clear, colorful, high definition picture. 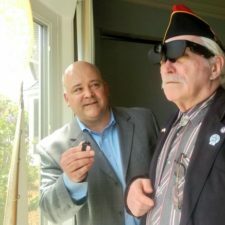 A new ergonomic lightweight compact design makes it the perfect low vision aid whether at home or on the go. 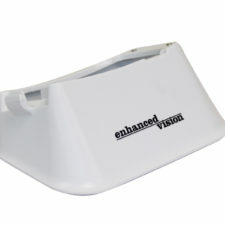 Carry this low vision product in your purse, pocket, or clip it on your belt with the included carrying case. The only time you’ll know it’s there is when you need it! The Pebble HD is handy in many different locations with an HD camera providing a clear, colorful, high definition picture and a foldable, adjustable handle for ergonomic comfort. The Pebble HD gives expanded magnification ranges to give you extended zoom, magnification and field of view. Click here to see a chart of how much more magnification you get when using Pebble HD. Weighing just 7.2 ounces, the Pebble HD is considered to be the lightest on the market for the 4.3” monitor size. Fully encased battery, like a cell-phone, users DO NOT change batteries, only re-charge them. The Pebble HD work’s great with the new Pebble Stand! 2 different types of Pebble HD – same great price! The standard Pebble HD model is fully functional. 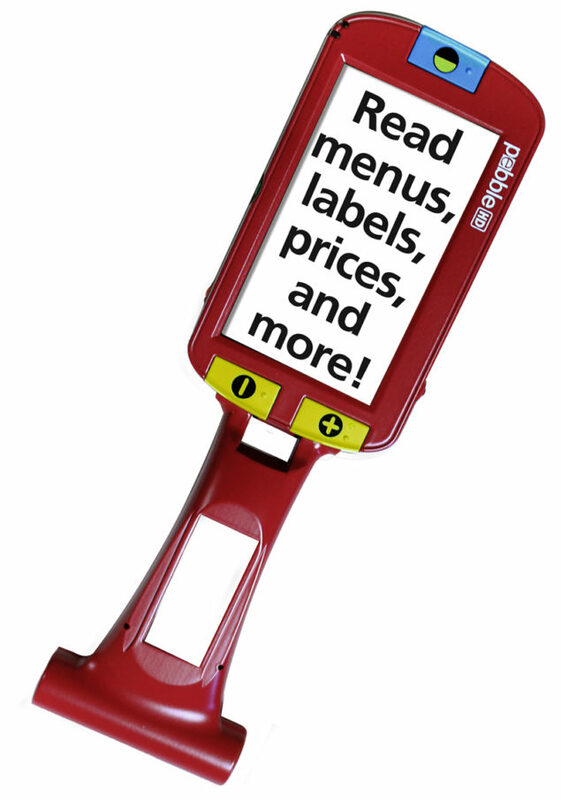 Our Pebble HD standard model comes with initial set up – clock is set and key click “on” when it arrives at your door. 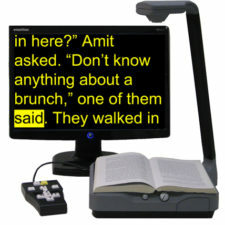 However, tech lovers can get into the full system and it is fully-customizable for all 28 color select modes and a variety of extra options, including saving 200 images, porting them to your computer and having the Pebble HD speak in one of 5+ languages. 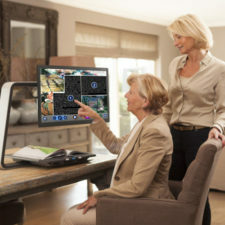 The Pebble HD Basic is perfect for elderly, technically challenged and cognitively low functioning people. This simple-to-use Pebble HD “Basic” has fewer options and modes to prevent users from being confused. The unused buttons are TURNED OFF. So, if a user touches the talking clock button, or the adjustment wheel, or the freeze button, etc. – nothing happens. Users who do not need these features will not be confused if they accidentally press the unused buttons. They are totally disabled. 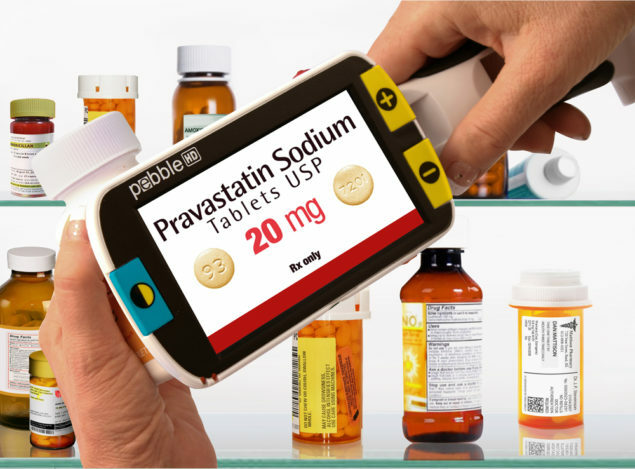 The Pebble HD Basic gives you the basic magnification functions of the standard Pebble HD and use of the mode button, but is run on a basic system with all the expanded options permanently turned off (except for +/- zoom, mode and power). Simply hold your Pebble HD over any object you wish to view and you can begin!